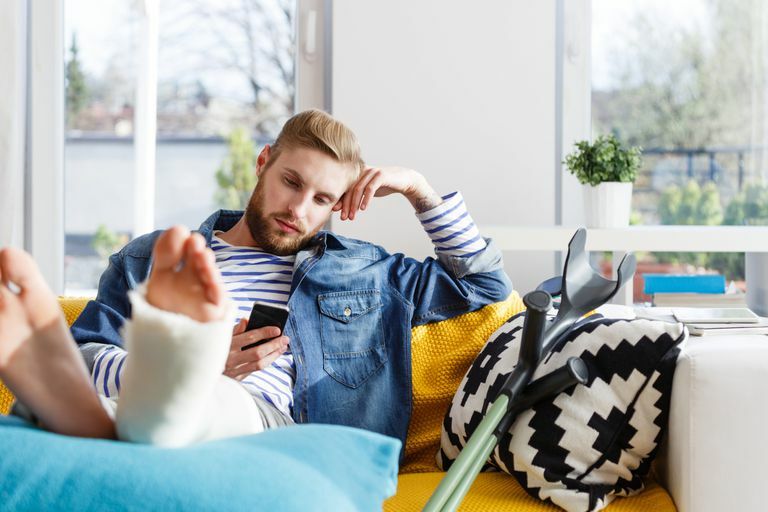 A nonunion occurs when a broken bone does not heal. Bones have a tremendous capacity for healing themselves, and with proper treatment, most all fractures will heal without complication. However, some fractured bones have difficulty healing. When a bone is slow to heal, we call this a "delayed union." When a bone does not heal, we call this a "nonunion." Infection: If bacteria enter the site of the break, it can prevent proper healing. Inadequate blood flow to the bone: Healing bones get many factors delivered by the blood supply, including the cells that repair the broken area, growth factors, and good old oxygen. Some bones have a limited blood supply and in other cases, the supply is disrupted by the injury. Separation of the fractured ends of the bone: The bones may not have been set close enough for a union, or may have separated after stabilization. Inadequate stabilization of the fracture: Stabilization is one of the key parts of treating broken bones. If the fracture wasn't able to be set properly, a nonunion might result. Sometimes a cast is not enough, and the fracture must be stabilized with screws, rods, plates, etc. If you continue to feel pain at the site of the break long after it has been set, you may suspect something is wrong and consult your doctor. Your doctor will do imaging studies and look for a gap at the fracture site. She might follow up at intervals to see if healing progresses over months. She'll look for the cause with tests for anemia, infection, and diabetes. The treatment of a nonunion depends on the cause of the problem. Only once the cause of the nonunion is understood can proper treatment be initiated. Treatment may involve surgery to remove the infection, to better stabilize the fracture, or to stimulate bone growth with bone graft. If the cause is a lack of good stabilization, you may need internal fixation with metal plates, rods, and screws. External fixation with a rigid frame is used for some nonunions. Bone grafts may use your own bone tissue, often from the iliac crest of the pelvis, or from a donor. Nonsurgical treatment might use a bone stimulator device that is used daily with ultrasonic or electromagnetic waves. The best thing a patient can do to prevent a nonunion is to avoid smoking. Other factors that will help prevent nonunions include eating well and adhering to your recommended treatment plan. Patients who are smokers, obese, have diabetes or have other medical conditions, may be at higher risk for developing a nonunion. Nonunions, OrthoInfo, American Academy of Orthopaedic Surgeons, March 2014.